Combining a sturdy geodesic-dome architecture and rugged materials, the mountaineering-inspired REI Co-op Base Camp 6 tent is a roomy and robust shelter for up to 2 people. 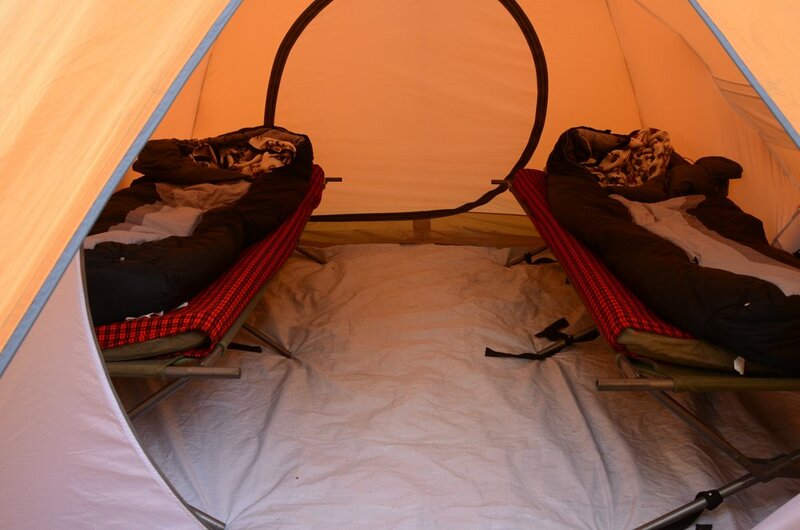 Inside this spacious tent guests will find a full sized camp cot with a comfy 3 inch mattress on top. On top of the mattress is one of our -18°C comfort rated sleeping bags with a pillow and thermal liner to make sure you as comfortable as can be during the cold nights on the mountain.